Can you just take it as a given that if it’s Korean and on between the hours of 10am & midnight we’ll be watching it. 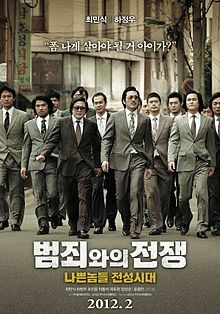 In the case of NAMELESS GANGSTER you can double down on that bet because it stars Choi “the boy” Min-sik who, according to some critics, turns in a belter of a performance. And all while wearing some glorious 1980’s Korean business attire. Ka-Kimchi!